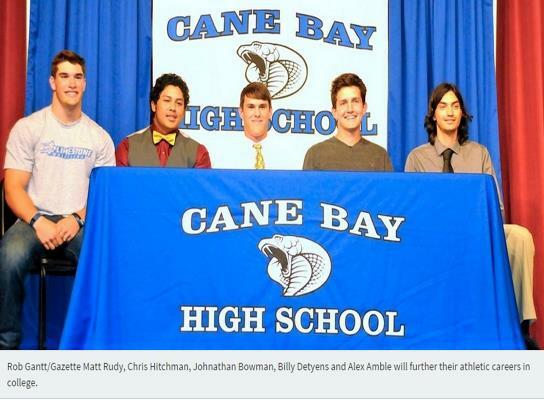 Two Cane Bay High School Cobras are headed to play baseball with USC Salk. Chris Hitchman and Johnathan Bowman are moving on to NJCAA Region X to further their careers. Bowman, an outfielder/pitcher, had an on-base percentage of .378. Hitchman compiled a 3.53 earned-run average in a tough region slate.